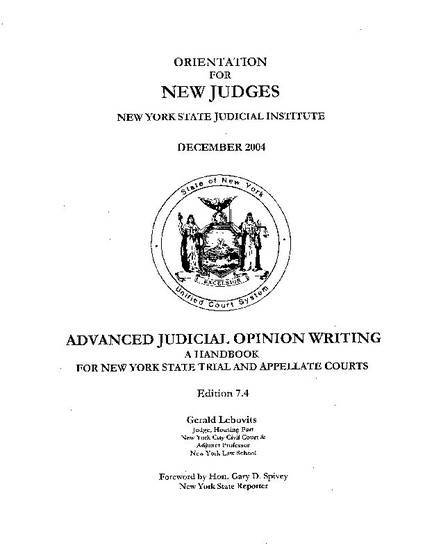 Gerald Lebovits, Advanced Judicial Opinion Writing: A Handbook for New York State Trial and Appellate Courts (N.Y. St. Judicial Inst. 7.4 ed. 2004).